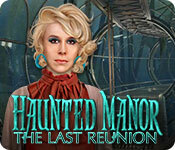 Haunted Manor: The Last Reunion is rated 2.9 out of 5 by 11. Rated 5 out of 5 by 2020moonlanding from Heebie- Jeebies!!!! Eipix has done a great job on this one. First of all the opening scene of a colossal creepy mansion amid a stormy battering sea sets the mood perfectly for a spooky reunion amongst old friends! I just finished this game a few days ago and I found it to be outstanding and satisfying. I highly suggest playing the game with a sheet over your head with a flashlight to enjoy this one to the max. Bravo! Rated 4 out of 5 by LikeAGoodStory from Better Game Than I Thought I did enjoy this game, although I had difficulty with the storyline. As others have mentioned (here as well as in Collector's Edition), the premise has such possibility, and there were moments I thought this a great game but they were short lived. Still, it is a good game,fairly true to a 1956 class reunion, with some great plot twists. I like the adventure aspect of this game. There is some inconsistency in the game play, and I found the puzzle instructions often confusing but that that may be down to me. Eipix puzzles are always involved and often fascinating. 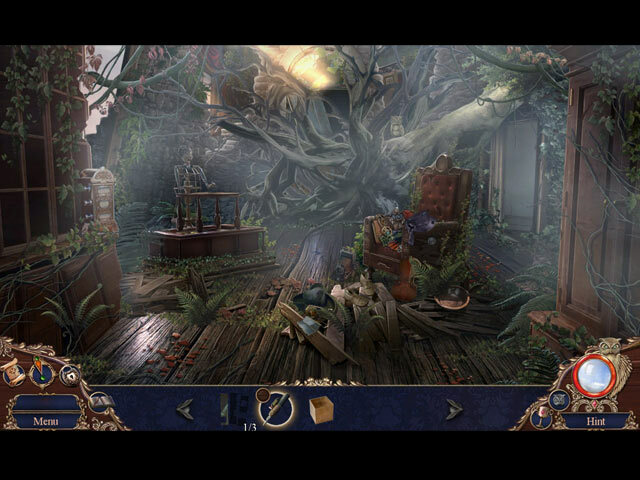 There are more HOPs at the end of the game but as I prefer adventure to hidden objects, I liked that. It is a game I will play again. My review is based upon completed play of the game. Rated 4 out of 5 by ninja226 from Man eating house 1- a high school reunion that takes place in a house entirely surrounded by water and fog would not be my choice for a reunion with friends 2- a reunion with only 6 in attendance is more like an intimate party than a "reunion" If you can put aside the above, this is a really good game. The artwork is excellent and not whitewashed. This is a house enshrouded in fog, so it looks blanched. Aside from the video cut scenes, which are a bit blurry, everything else is sharp, clear, and well done. It's a long game with moderately challenging puzzles and even ratio of HOPs. Sleuthing aspect is good, but not always obvious, but Hint & skip allowed even with expert mode game play. It is a house that devours those who come into its premise, but no blood or gore. Those who enjoy a good challenge would love this game. Rated 4 out of 5 by biscuitsmama from IT HAS BEEN A LONG TIME SINCE THE LAST HAUNTED MANOR BUT IS IT WORTH THE WAIT? 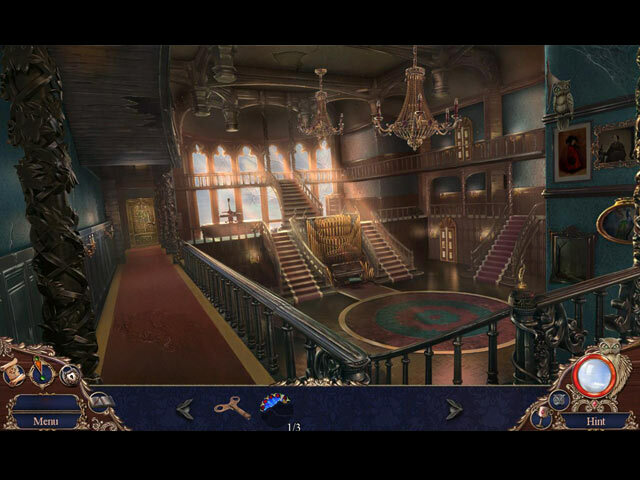 I have to say that I loved the last Haunted Manor game, Painted Beauties, released in 2014 and developed by the originator of the series. If you have read my reviews you have probably guessed that I am a HOPA game junkie. I currently own a library of over 1300 games, all from BFG, and around 99 percent of those games are HOPA. Yes, I own and have played every HOPA game release since they first came into existence. This being said, I have a fair amount of experience with the genre. EIPIX has done a great job in being faithful to the original games but somehow The Last Reunion seems dull and plodding with most of the fun removed by all of the tedious little bits we must find in the beginning of the game with little forward momentum to show for it. IMHO, the clamoring for difficult games has not been positive because I feel that most of the fun has been removed. Although the story was well-told, it didn’t come together quickly enough. In order to stretch the gameplay, the dullness at the beginning sabotaged the intent and, I daresay sales of the game, because many gamers fell by the wayside before the demo ended. This seems to be a pattern with this developer as of late because at one time I loved every game from EIPIX. I want a game that holds my interest, and although the game is definitely better after the demo, it isn’t enough to generate a 5-star rating from this reviewer. It seemed as if most of the HOPS were loaded onto the back of the game with the beginning being mostly hunt and seek little odds and ends to get something to open so we could proceed. It is my hope that this wonderful development team will one day go back to its roots and develop games that are interesting and fun to play. If you are intrigued by the game and want to purchase it, I would definitely recommend the CE because I found that I was not able to solve a couple of the puzzles, that couldn’t be skipped, so that I could actually move forward. Even though the game is less than a 5-star for me, it is worth playing and some of you might even love The Last Reunion. Happy gaming! Rated 3 out of 5 by Dinnin from nothing extraordinary pro: - Story line is very nice cons: Gameplay is not so good and seems a little old. 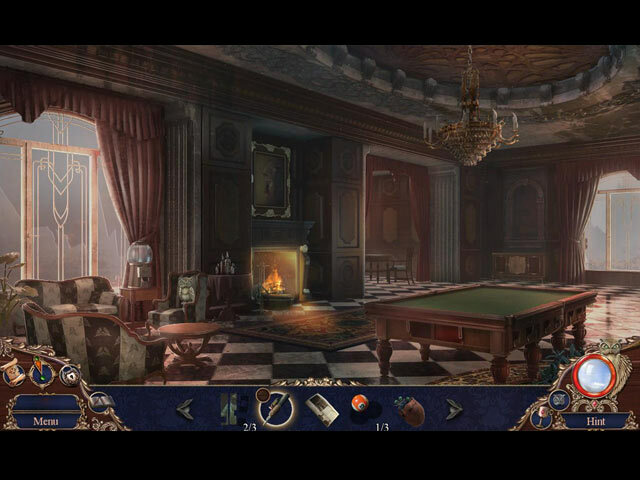 Rated 3 out of 5 by edibleedna1 from Haunted Manor: The Last Reunion I Found the game not to be very interesting, the game within when not fun but boring and confusing. Rated 2 out of 5 by peanutlee33 from For Very Young or inexperienced Players Only It looked interesting enough at the start but then it turned boorish. Nothing at all creepy or extraordinary, and the time between hints and continue drags horribly. There is no reason for things to "ghost out" seconds in-between hints and continued play. I fully expected this to be one of the ultimate legit Haunted Hause HO games, but it doesn't deliver. And very 70s-ish for a reunion that is allegedly supposed to be present day. Rated 2 out of 5 by ioannia from Not Worth The Time Complete disappointment. Graphics, storyline, puzzles all substandard. Was a relief to finish after skipping through unchallenging and cartoonish scenes. And the dialogue and characters made me cringe. Totally predictable, waste of time and credits. Rated 2 out of 5 by bessiegirl from Glad I didn't pay full price Good grief, I can't think of 1 thing good to say about this game. I've played some rotten tomatoes but this one takes the cheese. Slow, boring and one of those games you have to jump all over the place to complete a simple task. Transporter map is totally useless and I just used the hint to transport around and around and around until I just couldn't take anymore of the game and deleted it. Voice overs and characters were just awful. Scenes and HOS were dark and the mini games/puzzles...well don't get me started. I purchased this without demo because the original reviews were 5 star. I was certainly duped by that. I would give it a 1 star but I really dislike the word "hate". I wish BF would come up with another word for 1 star like "really a loser".